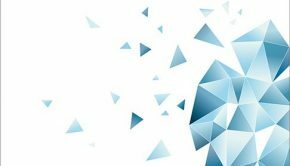 Tour de Japon – Music from Final Fantasy was a six venue, seven concert special that started off at the Minato Mirai Hall in Yokohama and ended at the Festival Hall in Osaka. Staged between March 12 and April 16, 2004, the tour revealed some of the most spectacular Final Fantasy concerts to date, but despite the French name, it was exclusive to the Nipponese archipelago only. Nonetheless, the good thing was that some of the arrangements were used in later concerts to give worldwide fans a taste of the action. (The theme “Final Fantasy VII Advent Children” for example, was actually renamed “Cloud Smiles” and released with Final Fantasy VII Advent Children late in 2005). 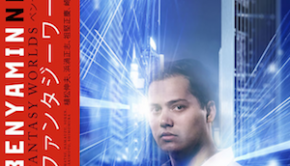 The tour was eventually commemorated with a DVD release, featuring a live video recording of the concert in Yokohama, used as the basis for this review. 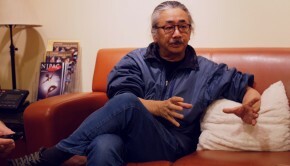 The DVD was exclusively available to members of Nobuo Uematsu’s fan club. When Final Fantasy concerts are concerned, there is always one man besides Nobuo Uematsu that always grabs a bit of fame. Shiro Hamaguchi has achieved quite a bit of fame recently, and this is as a result of his orchestrations for such events. One such concert, 20020220: Music from Final Fantasy was a major a hit and had an album release, too. Many of the arrangements on this album were new, though some had been heard from his previous Piano Collections and orchestral albums. 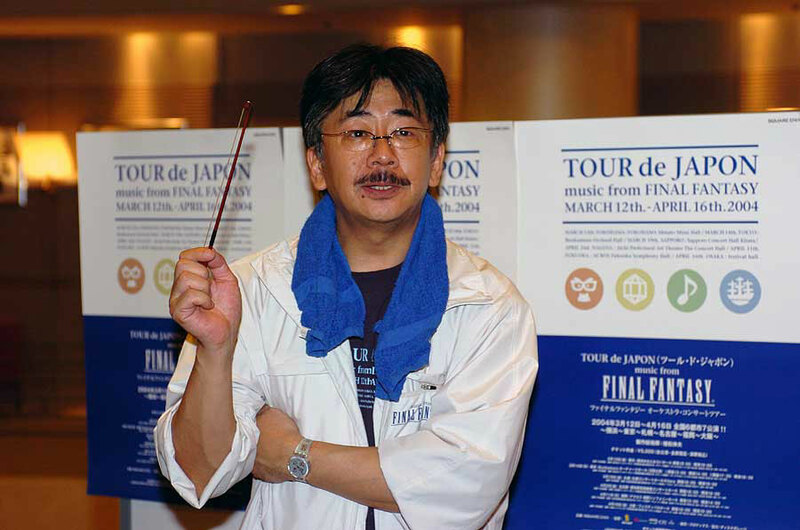 Nonetheless, this provided the basis for many of Uematsu’s other orchestral tours, with Tour de Japon – Music from Final Fantasy certainly being a major one. Hamaguchi’s arrangements do wonders for this tour, and with the New Japan Philharmonic performing each piece to an exceptional standard, every single emotion that was intended to be present was brought out exquisitely. The conductor, Taizo Takemoto does extremely well to hold even the most difficult pieces together, demonstrating more rehearsal time than 20020220. The majority of the Final Fantasy concerts to date have featured a highly inspirational arrangement as their opening theme, and what a great example “Opening ~ Bombing Mission” from Final Fantasy VIIproved to be. The first minute started off with some slow, melodically uplifting, strings that soon fell into a chorus of suspensions as the brass section continued the motif in a scenic fashion. And, very much like the original theme, a sense of grandeur was soon thrown in as a cymbal crash announced the rise in power of this section, as well as the arrival of some beautifully timed timpani hits. Nonetheless, although everything seemed fine up until this point, it became very evident that this orchestration was going to stick very closely to the original theme, and although the performance wasn’t affected whatsoever, it turned out to be an arrangement that was comparatively nothing special. Admittedly, parts of the arrangement became bare due to a lack of variety across the parts, but with the main melody passed from the darkest realms of the bass instruments to the highest areas of the strings’ range, rest assured that dynamic sustainability and the quality of the timbre was perfect. As openings to concerts go, this piece was a wise one to choose, as with there being many areas left in need of improvement, the audience was sure to pick up on the fact that things can only get better. “To Zanarkand” answered the prayers of the concert goers as it proved to be an arrangement that delved into a whole new atmosphere that the original never touched upon. A piano presented the melody alongside some ambient flutes and timid violins, and, although the piano part seemed to have been taken directly from the Final Fantasy X Piano Collections album, Hamaguchi let it fade away to make way for some orchestral mastery. So, following a superb build up from the orchestra, an acoustic guitar then took over to lead us into a beautiful section filled with hope, glorious ‘cello lines, and ultimately, a great deal of passion. The way that the parts overlapped here was just fantastic, and, with all due respect to Uematsu, the arranger worked wonders with relatively little here. This was an impressive arrangement that just leaves you in anticipation of what is to come next. The next arrangement on the DVD, “Ronfaure” really opened my mind to the Final Fantasy XI Original Soundtrack. The best thing about this arrangement was the sense of equality that each part seemed to show. One such example came at the 1:05 mark where the string section played a separate melody to the bass lines, and, of course, this developed in a typically orchestral fashion. As in “Opening ~ Bombing Mission,” a cymbal triggered a highly powerful and emotive section in which the whole orchestra was combined within a cluster of melodies and dramatic build ups. Of course, the initial tribal feel was maintained throughout this section with the use of a loud drum that smashed out some powerful beats above all of the other percussive instruments. This proved to be a vital touch to the arrangement, which started to develop into a village-like section because of it. Unity and a sense of companionship was an important aspect of this arrangement, as it wouldn’t have gone anywhere at all without the cooperation of each of the instrumental sections. Plenty of magical sections were offered as a consequence of this good-fellowship, and this was what put it amongst the best orchestrations in the concert. Speaking of great orchestrations, we were then led back in time to experience an arrangement of “Aerith’s Theme”, a classic from the Final Fantasy VII Reunion Tracks album. In many respects, this would have been a hard theme to arrange, as with so many emotions and a glorious atmosphere hanging on the line, it was important that nothing was taken away from the original theme and that it wasn’t expanded to foolish depths either. The opening to the theme was gracefully played by a piano and string accompaniment, and with a follow up from the rest of the orchestra, the theme gained so much power and rapture that the original melody was certainly relived and made even finer through its clarity. Although the theme wasn’t altered much itself, Hamaguchi’s profound choice of instrumentation really showed, and as a consequence of this, he didn’t let it down at all. Hamaguchi’s version of Final Fantasy IX‘s “You’re Not Alone!” certainly didn’t disappoint, proving to be an arrangement that made the most of its potential. The almost laid back style of this arrangement was captivating and it really seemed to absorb the heart of every listener through the ways that each part moved. There weren’t any new sections in this arrangement, but it was great to hear the orchestra sound out every single crescendo and diminuendo to perfection, thus creating a wonderful atmosphere that was sure to warm the listeners. The next arrangement, however, was extremely different. “Ahead on Our Way” was probably the most unconvincing theme out of every arrangement played during the tour. The start of the arrangement consisted of a snare drum, timpani, trombones, and the rest of the brass section, and they all sounded out something that was totally new to the original theme. Nonetheless, very little happened at all, and the whole section lasted for a dull, 1:40 minutes before it finally entered into a section that would lead into the main melody. This resulted in one minute’s worth of the original melody followed by an integration of the new section within the underlying parts of the orchestra. This arrangement had potential, but it just wasn’t implemented in the right way. Moving on, the final representation of the Final Fantasy VII Original Soundtrack was perhaps the best. “F.F.VII Main Theme”, a track that was much in need of a live performance right from when it was created, was one of few themes that combined power, tension, and atmosphere in one. Although this orchestration was pretty much a duplicate of the theme from the Final Fantasy VII Reunion Tracks, one can’t but help to admire Hamaguchi’s efforts in making an already perfect theme better. Slow, solid strings opened the theme beautifully alongside a hypnotic oboe, and just when we thought that it was going to develop into something joyous and friendly, the rest of the orchestra played some ominous motifs in the background to change the feeling completely. Soon enough, a new section that was full of power arrived with such magnificence and such grandeur that it was almost shocking. The polyphonic motifs that this orchestration offered was overwhelming at times, and there really were plenty of classic examples throughout, especially with the rampant brass section that ensured the melody reached its full heights. The theme soon fell into an atmospheric and ominous section that was filled with crescendos and diminuendos, thus intensifying the original emotions provided by the original track, and making them much clearer, too. In my eyes, this was a perfect arrangement, and Hamaguchi would need to work wonders to create something even better. Next up was the “Final Fantasy I-III Medley 2004”. The first theme to be revealed was “Prelude” fromFinal Fantasy I. Admittedly, very little was done to the theme, but it sounded so much nicer on a live harp. Not only this, but it acted as a perfect introduction to the heartfelt “Cornelia Castle.” Originally from the same album, “Cornelia Castle” was an arrangement filled with joy and friendly vibes, but, all so soon, it transitioned into the Final Fantasy II main theme. In many respects this turning point was sudden, but the great thing was that it merely placed more emphasis on the arrival of the new theme, as opposed to spoiling the arrangement. “Main Theme” also barely lasted for a minute, but its intricate melodies and rich harmonies made it an unforgettable experience. The arrangement soon moved into a pitch perfect rendition of “Eternal Wind” from Final Fantasy III. “Battle 2” thereafter resounded in a magnificent fashion that filled the whole auditorium. The electrifying chromatic motif from the original theme introduced the section, and from this point onwards the brass section took over to see that the melody succeeded in reaching its full potential. The final theme in this potpourri was Final Fantasy III‘s “Cute Little Tozas.” The two minutes that this theme played for just passed by like no time at all, and this was ultimately down to the expert orchestration from Shiro Hamaguchi. First of all, the theme started in a jolly fashion with very little harmonic substance at all, but as soon as a crescendo appeared on their scores, the members of the orchestra released the theme into a section full of power, and, finally, climactic spirit. Both “Ronfaure” and “Final Fantasy VII Main Theme” stood out amongst all of the themes in the tour due to their quality, but “Opera ‘Maria and Draco'” was a hard one to forget, and this was simply down to the stunning performance from the orchestra. Naturally, I wasn’t too fond of the original “Aria di Mezzo Carattere” due to its poor synth quality, but I realised how advanced it was for its time. The problem with this arrangement was that it stuck far too closely to the original theme, and although I have argued in the past that this could be to save the original theme from destruction, I feel that this was one of those times where development would have complimented it greatly. The arrangement from Orchestral Game Concert 4 knocks the socks off this arrangement, and although the New Japan Philharmonic performed Hamaguchi’s version to an extremely high standard, the Tokyo City Philharmonic Orchestra seem to get the upper hand with their expression of Yoko Kanno and Koichi Sugiyama’s “The Dream Oath “Maria and Draco”.” Nonetheless, without any outside comparisons, “Opera ‘Maria and Draco'” stood out as one of the most pleasing arrangements during the tour. It is hard to stress upon the power that each section of the opera seemed to emit, and it is even harder to comment on the magnificence of the vocalists. The affection that Etsuyo Ota, the mezzo soprano, gave the melody was beyond amazing, and both Tomoaki Watanabe (the tenor) and Tetsuya Odagawa’s (the bass) performances made the arrangement even more fantastic. Moving on, the penultimate theme, “Final Fantasy VII Advent Children” opened with a mesmeric piano and a lone oboe that held the melody, and when the rest of the orchestra joined, the peaceful atmosphere emitted was quite relaxing and almost certainly enjoyable. This was a good theme, but there just seemed to be something lacking in the end. Perhaps it was the fact that the melody never really seemed to go anywhere as such, well, at least not in comparison to other arrangements that the tour yielded. Last but not least, “Final Fantasy Main Theme” was more of a memorable experience than a superb arrangement, especially since it had already appeared in the 20020220 – Music from Final Fantasy concert. 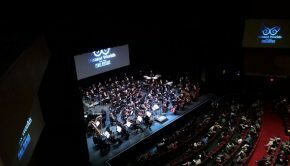 The orchestra was flawless once again, sounding out every note with passion from their hearts right from the very start and, when Nobuo Uematsu came on stage, there was yet another rise in enthusiasm. Clapped by the audience, Nobuo Uematsu congratulated Taizo Takemoto’s efforts with the orchestra, and when Takemoto offered him a baton to conduct the orchestra with, he refused it, much to the audience’s dismay. Nonetheless, this was but a joke, as without warning he pulled out his own baton and held it up for all to see. So, from hereon, following a vigorous clap, every instrument seemed to sound even louder, as with the face of Uematsu staring at them, the orchestra couldn’t possibly be without motivation. This provided a memorable end to the tour; uplifting in every way, “Final Fantasy Main Theme” will certainly sound in the hearts of those who heard it. On the whole, the tour seems to have been a complete success. Naturally, many other concerts followed this one, such as the Dear Friends – Music from Final Fantasy concert and the more recentMore Friends – Music From Final Fantasy, so this goes to show that the success of this tour spurred Hamaguchi to arrange even more themes from the series. Overall, there was very little wrong with what Shiro Hamaguchi seemed to offer, but he did leave some themes relatively untouched, and perhaps not arranged to their full potential either. Nonetheless, there was little that could spoil such a month of pleasure, and everybody that was involved in the experience, whether it be a major or minor role, certainly won’t forget it. Posted on March 12, 2004 by Dave Valentine. Last modified on March 1, 2014.